The 2018 San Diego Padres player grades are in as we start with arguably the team’s best area, the bullpen. This unit was solid for the team all year long, even after the departure of Brad Hand and Adam Cimber in July. They deserve a lot of praise for their efforts in 2018. The first of three end-of-season grading articles from EVT will focus on the 2018 Padres’ most successful position group by far–the bullpen. The grading system will primarily emphasize pure on-field production, but will also take into account preseason expectations, availability, and improvement as the season progressed. It is also important to note that these grades will be presented on a league-wide scale; there are no Mike Trouts or Jacob deGroms on this roster, so don’t expect anyone in any of the three articles to be graded comparably. One last thing–these grades are subjective and open for debate, so, please, feel free to debate or challenge any of these evaluations in the comments. I’d be happy to further explain my reasoning and hear other opinions. The 22-year-old Castillo established himself as a dominant power arm the minute he took the hill for the Padres. He struck out nine of the first 14 big-league hitters he faced, and ultimately rode that momentum to an incredible rookie season. Command improvement on both his fastball and slider will undoubtedly be the next step for Castillo, but natural progression across the board should give him the inside track to a high-leverage bullpen role next year. Erlin quietly enjoyed a very nice bounce-back season from Tommy John surgery that kept him off the mound for all of 2017. He posted a ridiculous 7.33 strikeout-to-walk ratio that would have placed him second in all of Major League Baseball had he qualified innings-wise, and threw over 100 frames for a bullpen that was often called upon more than one would like. Nobody would accuse him of having electric stuff, nor would his numbers be mistaken for being elite, but he did return from one of the most devastating injuries in baseball to position himself as a dark-horse starting rotation candidate heading into 2019. Makita came into the 2018 campaign as many people’s biggest question mark. We now have answers, but unfortunately, they’re not great. It’s easy to blame Makita’s struggles on his outdated submarine mechanics and a low-80s fastball, especially in the age of multiple flamethrowers being employed by seemingly every team. The truth is, however, that Makita struggled to locate for much of the year and simply didn’t have the stuff to miss enough bats to make up for it. Although 2019 will be just his second year in the Majors, he is already 33 and might be looking at an uphill battle to make the big club in the final year of his two-year deal. 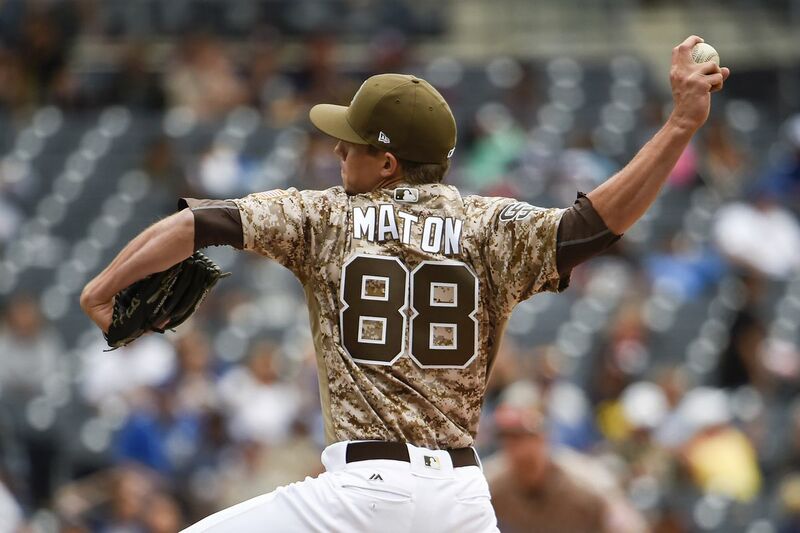 Phil “Spin Rate” Maton created a surprisingly lofty set of expectations for himself in 2017; he showed excellent stuff and a stone-cold demeanor that is often seen in stingy bullpen arms. 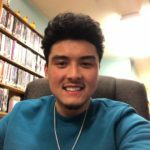 However, he ultimately failed to make the leap from good to great that many thought was in store for 2018, and ended up spending some time in El Paso. He wasn’t bad by any means–almost any bullpen in the Majors could use a Phil Maton–but a rough August brings this grade down significantly. Reliability is the name of the game for Craig Stammen, who for the second consecutive year pitched brilliantly out of the ’pen for the Padres. He doesn’t possess a signature “out” pitch, nor does he vaporize hitters with triple-digit fastballs, but he’s one of the best in the business at getting ahead with first-pitch strikes and doesn’t give out free passes. It’s entirely possible that his name comes up in trade talks this winter as the organization continues to cash bullpen arms in for upper-tier, everyday talent, but the fact that he has retained trade value in his age-34 season is quite the accomplishment in itself. The only thing he’s ever done wrong in his tenure with the Padres was saying that Chipotle is his favorite Mexican food. Stock has one of the best baseball stories you’ll find, and while I would need far more than a few lines to tell it to you here, I strongly advise looking it up. It’s definitely worth your time. All of that aside, though, Stock objectively had a very nice season in 2018. I’ve mentioned the abundance of flamethrowing relievers in Major League Baseball a couple times already in this piece, but haven’t actually presented one. That changes right here. He possesses an electric fastball that can consistently get hitters out up in the zone, but a somewhat-limited workload and below-average walk rate do leave some uncertainty for the future. 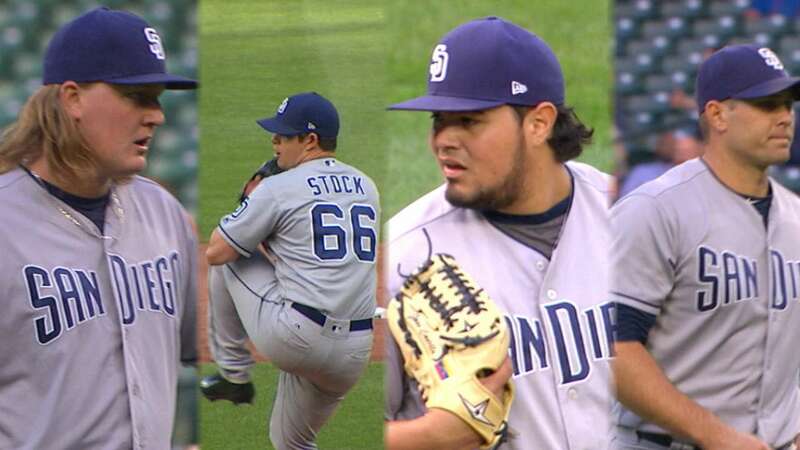 Nonetheless, Stock has inserted himself squarely in the bullpen picture moving into next year. 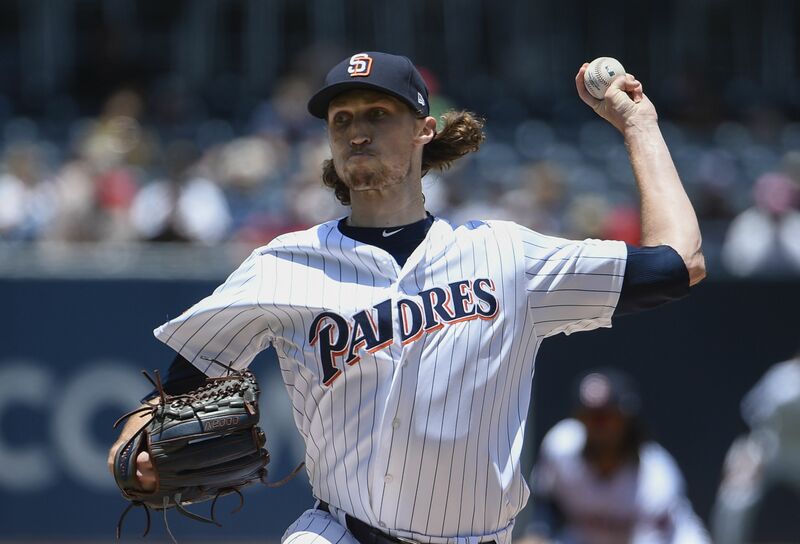 Strahm came to San Diego in a vintage AJ Preller heist and used 2018 to establish himself as arguably the best the Padres bullpen has to offer. A devastating slider was the headliner for Strahm in 2018, but he sat low-to-mid-90s on his fastball and got his curveball over enough for it to be respected. Continued improvement to his command, development of his changeup and increased stamina (depending on his starting rotation aspirations) are probably going to be Strahm’s points of emphasis this offseason, but he already has a darn good foundation with which to work. Look for Strahm to challenge for a rotation spot in 2019, or at the very least, continue to be an elite bullpen option. First of all, he throws smoke. With that electric velocity, however, comes the tendency to miss spots and put guys on for free. He walked 11 in just 19 innings, which is surely troubling, but he also fanned 27. Additionally, he has some closing experience, having recorded 33 saves in his minor league career, so he can be used in a variety of roles for the Friars moving forward. There’s no reason for the Padres not to be satisfied with Wingenter’s first taste of Major League ball, and in 2019, Wingenter should be right in the thick of what projects to be an elite bullpen once again. 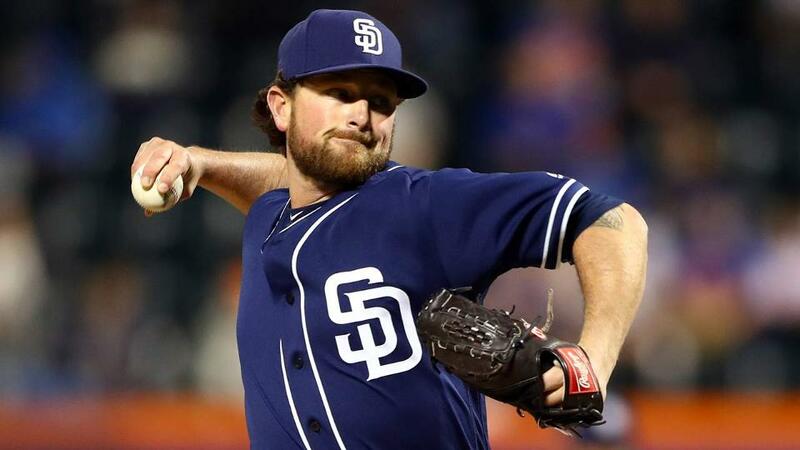 Certified All-Star snub Kirby Yates rode his nearly unhittable splitter to a banner year in 2018, posting career-highs in innings pitched, ERA, WHIP, walk rate, and batting average against. Whether it was in a setup role behind Brad Hand or closing duties after Hand’s departure to Cleveland, Yates was an absolute stud all season long. He’s only turned in one truly great big-league season, so he still has something to prove heading into next year, but I would bet on another outstanding season for Kirby Yates in 2019. Born and raised in San Diego, CA. Currently living in Eugene, OR as a junior at the University of Oregon. Journalism major, Padre fan, music lover. Attended my first Padre game at the Q in 1998 when I was three months old. Follow me on Twitter: @BradyLim619. When Will We See MacKenzie Gore at the Big League Level?